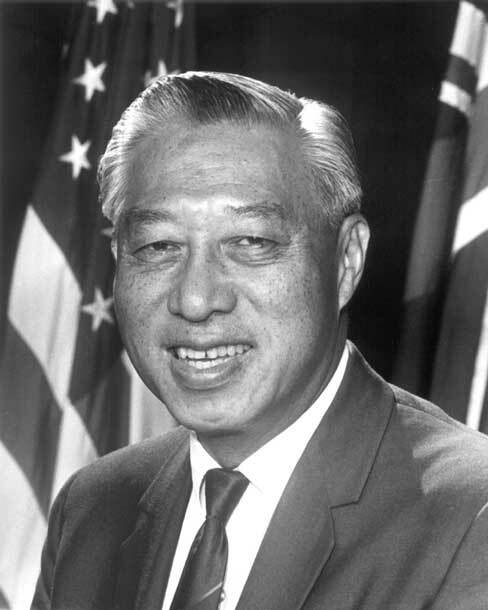 Place of Death: Kahaluu, Hawaii, U.S.
Hiram Fong was an American politician and businessperson. A Republican, he served as a U.S. Senator from Hawaii, from August 21, 1959 to January 3, 1977. He was a candidate for the Republican Party’s nomination for President of the United States in 1964 and 1968. Hiram was born in Honolulu, Territory of Hawaii, U.S., the son of Lum Shee and Fong Sau Howe. His parents were Chinese. His father was born in Zhong Xian, China. He was married to Ellyn Lo, with whom he had four children. Hiram’s paternal grandfather was Gung Sung Fong.